She was very, very good. And when she was bad, she...bought MAC. Yup. It happened again. 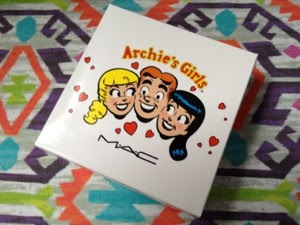 I had been doing amazingly well last week, until I found out that the new Archie's Girl collection by MAC had been launched in Selfridge's what seemed like a month early. I had been all set to buy a few bits from this in March when I thought it was coming out, but the early release threw me off. I have to confess I basically ran to Selfridge's after work on Thursday in a frantic bid to get my hands on one of the heart embossed pearl matte powders that were part of the range (review to follow). I had also planned to get a lipstick - Daddy's Little Girl, but after swatching, bought Pink Pigeon from the Strength collection instead as the pink looked a bit better on me. In total, I spent £35.50. Other than that, this week, I haven't bought any other beauty products aside from some cotton wool. I even gave myself 'permission' on Sunday to treat myself to something in Superdrug, but when nothing caught my eye I walked out empty handed. I'm having a reassessment of my spending ban right now. I have two weekends coming up that will basically entail shopping (a bloggers meet up, and Pro Beauty in London). However, my commitment is to not buy anything else in those weeks, except for my two planned spending days. I'm also going to get really strict with myself and write down EVERYTHING that I spend money on, even food. I've found myself slipping a little here and not being prepared means I've wasted a lot of cash buying tasty lunches from nearby shops at work. I'm planning to carry on my spending ban until a few days before my birthday at the end of March, so I'll keep you posted on how I'm getting on! they are gorgeous- i couldn't resist! I'm the same, have been really really good but I have been slipping too lately. Need to get back on track! it's so easy to slip - I'm sure you're doing well though! I’m a new follower via the #bbloggers hop! 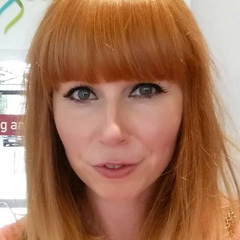 – Would love you to check out my blog if you get chance, as I have just posted a beauty haul!